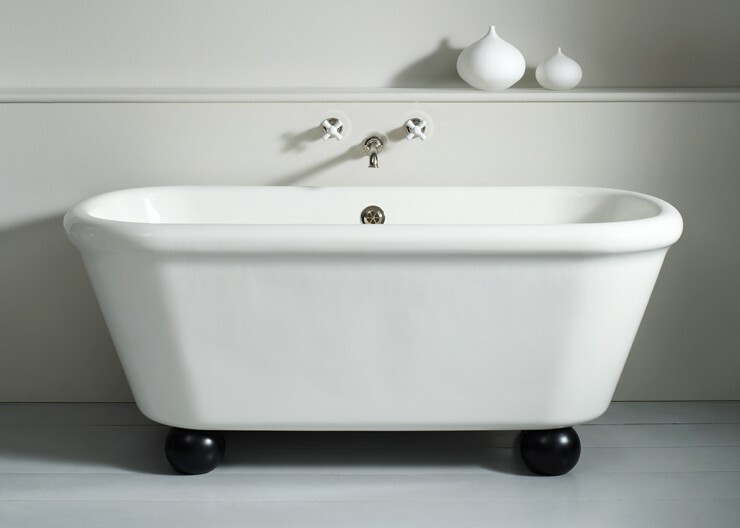 The Rockwell bath is a reproduction of an antique bath with a modern twist, equally at home in a traditional or contemporary setting. 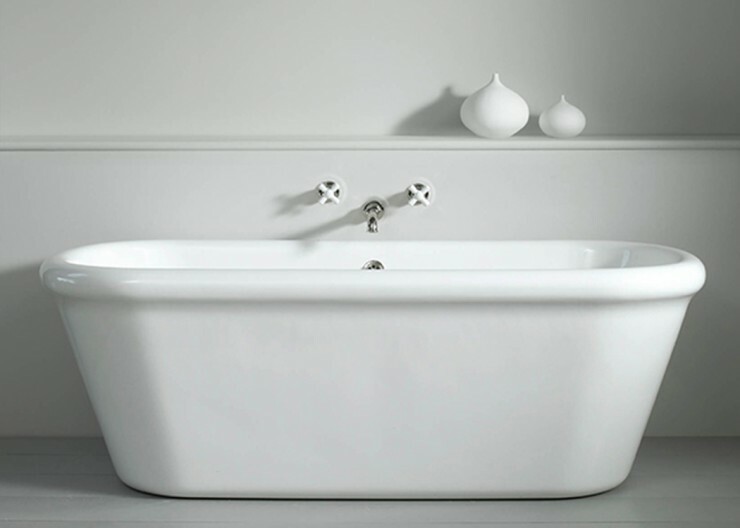 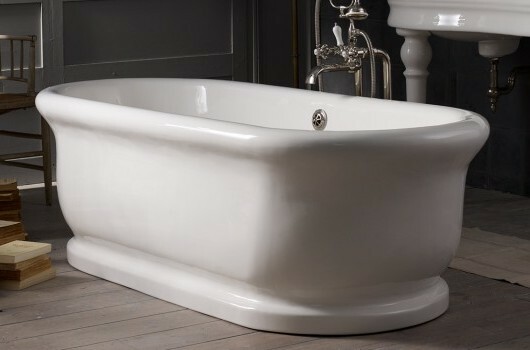 It is manufactured in England from VitriteTM, a stone and mineral composite that replicates the look and feel of the original bath but without the weight. 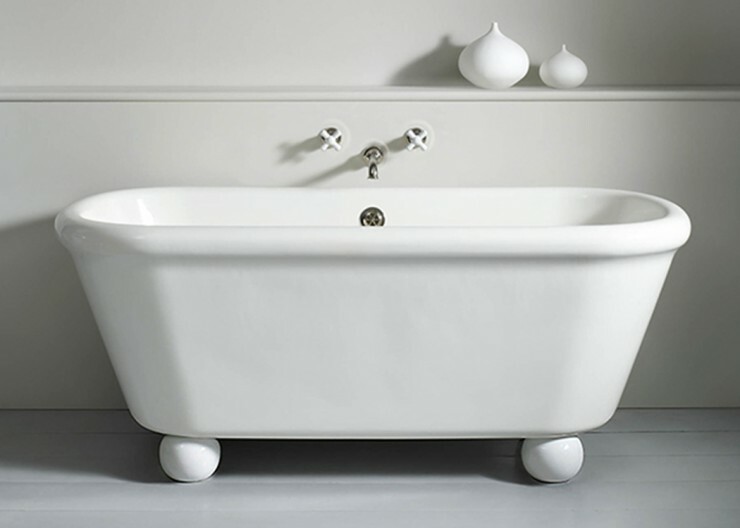 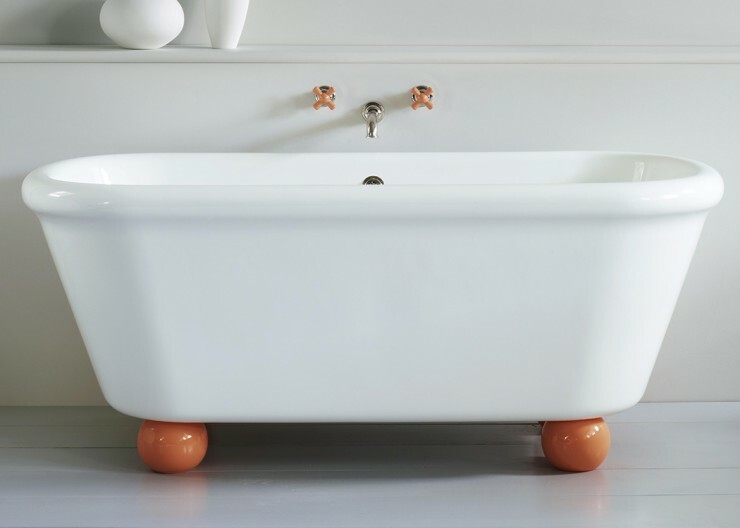 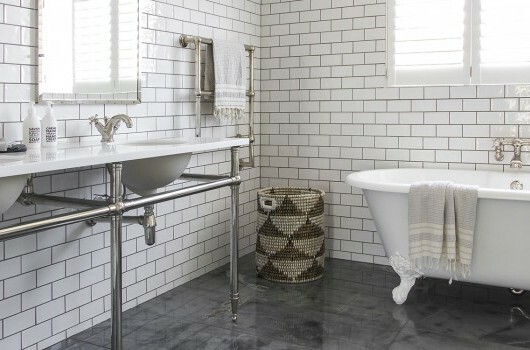 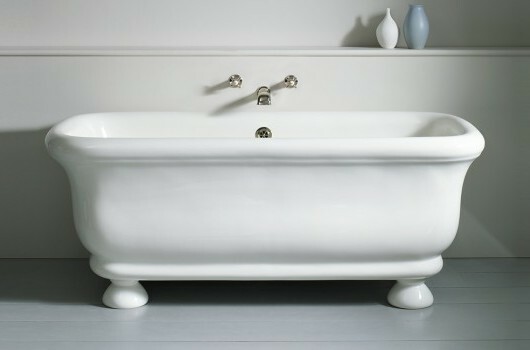 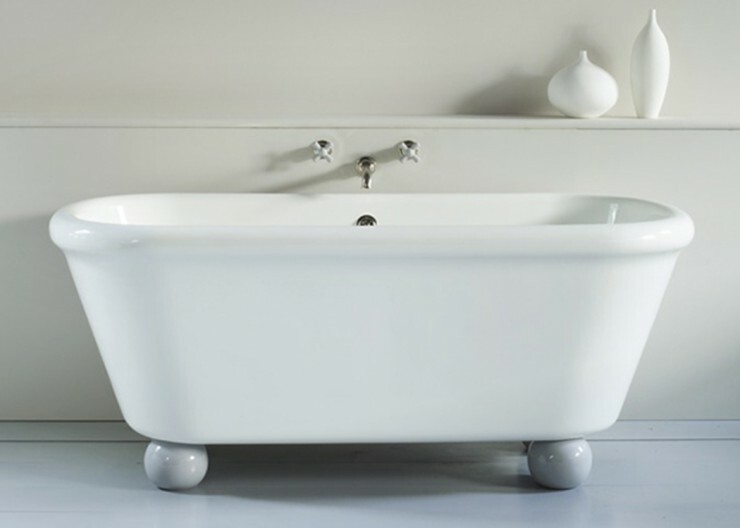 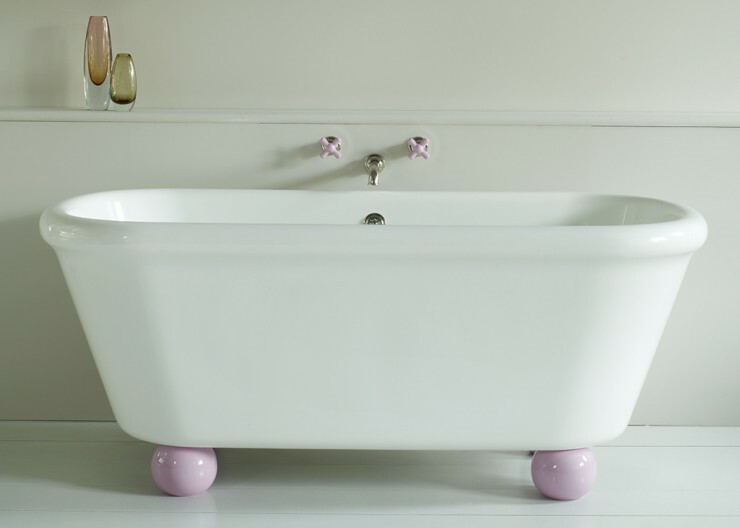 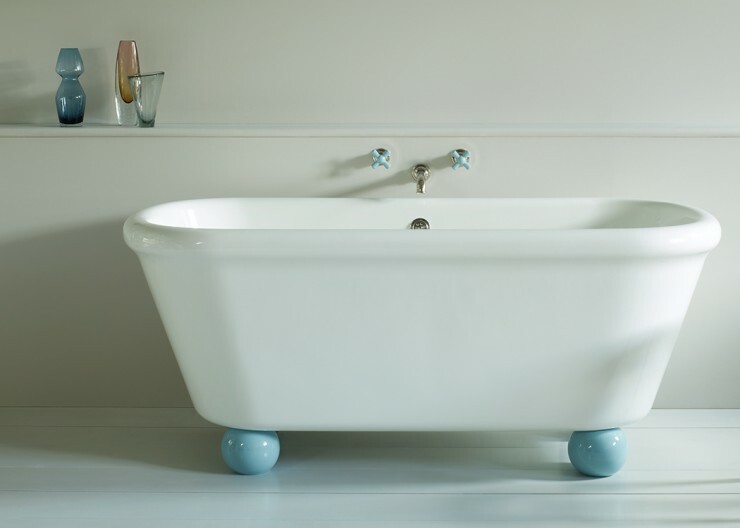 The bath can be ordered with or without the Rockwell Globe Feet. A feature of the Rockwell Bath is the trés chic colours. 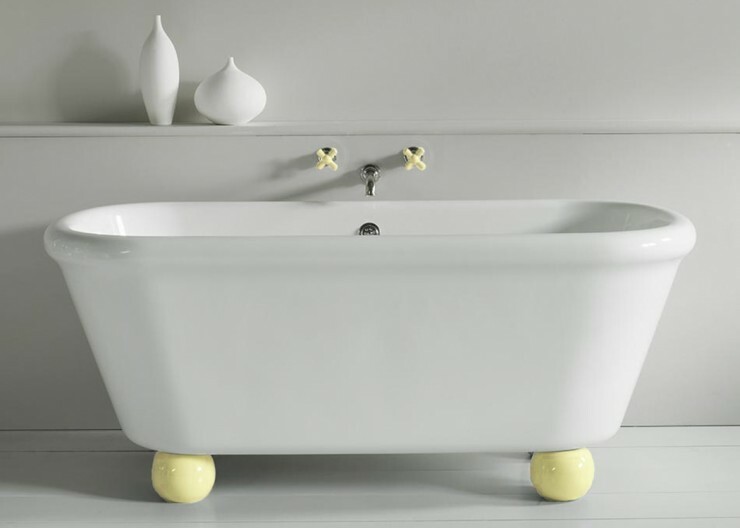 Select coloured feet or even the entire bath in the following shades: Powder Blue, Willow Green, Bonbon Lilac, Snowdrop White, Seattle Grey, Sherbet Yellow, Squash Orange and Ink Gloss Black.